***You can get the full how-to book online as a PDF. GET THE BOOK, CLICK HERE. Now, the only task that remains is to decide what shape you want to pull out, and strengthen those lines…. great simple tutorial for further study. It is easy. 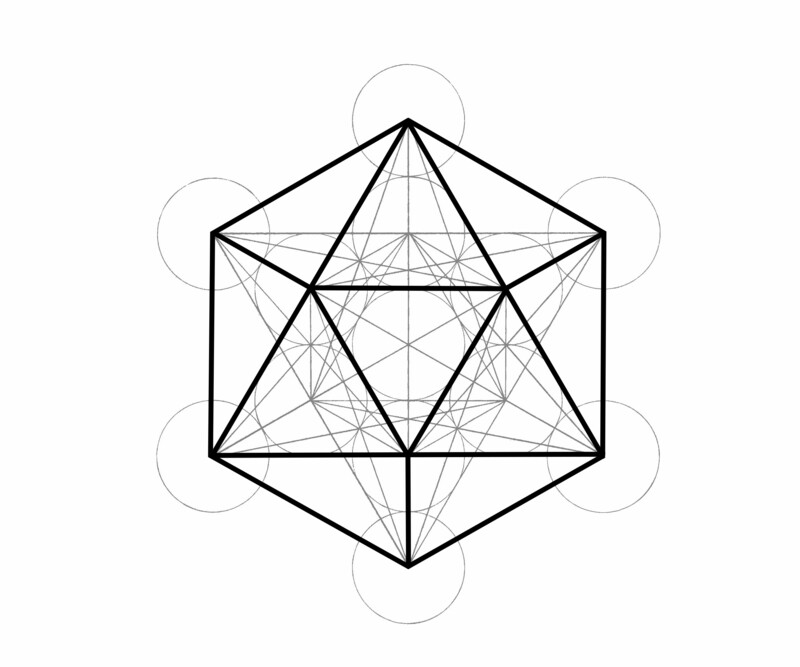 It’s as simple as repeatedly dividing a circle over and over. All you need is a compass for the most of it then a straightedge for the final render. Don’t change the compass diameter. Draw your first circle. 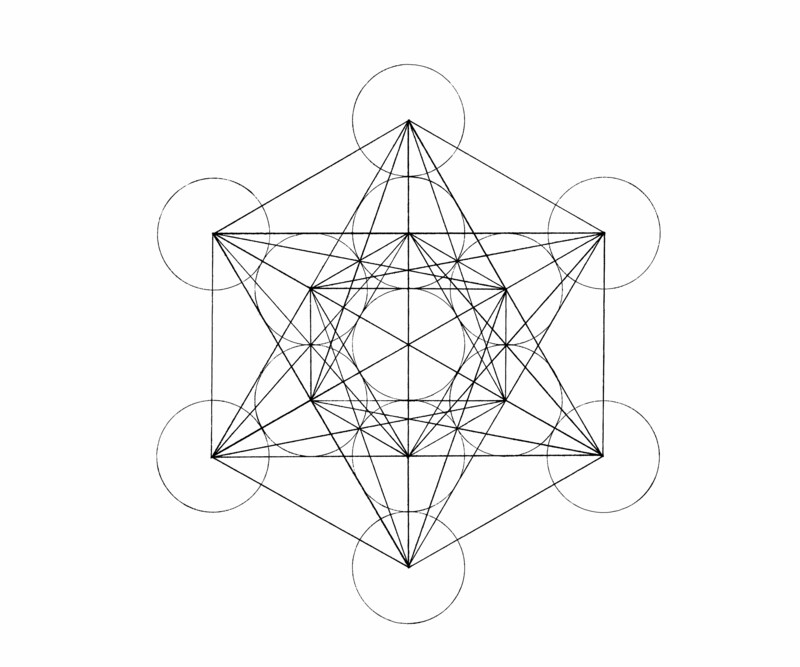 Then move anywhere to the circumference and use the circumference as the center for your next circle. 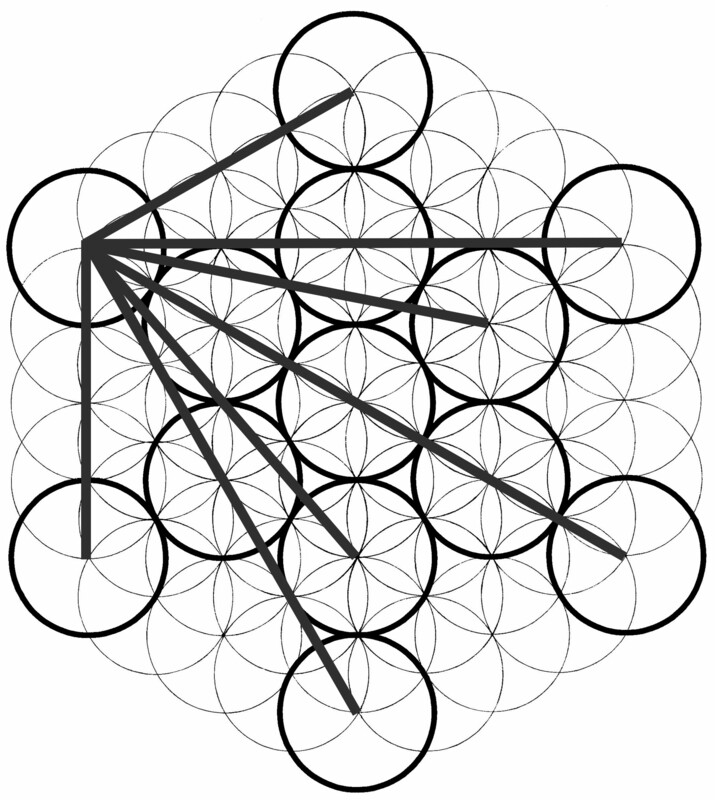 That gives you the vesica piscis and the two points to center your next two circles. Use where the circles intersect on the outside as your circle centers and just keep working outward until the original circle has been divided four times in each direction either horizontally or vertically. It doesn’t matter which way you divide as long as it’s a straight path horizontal or vertical but not both. 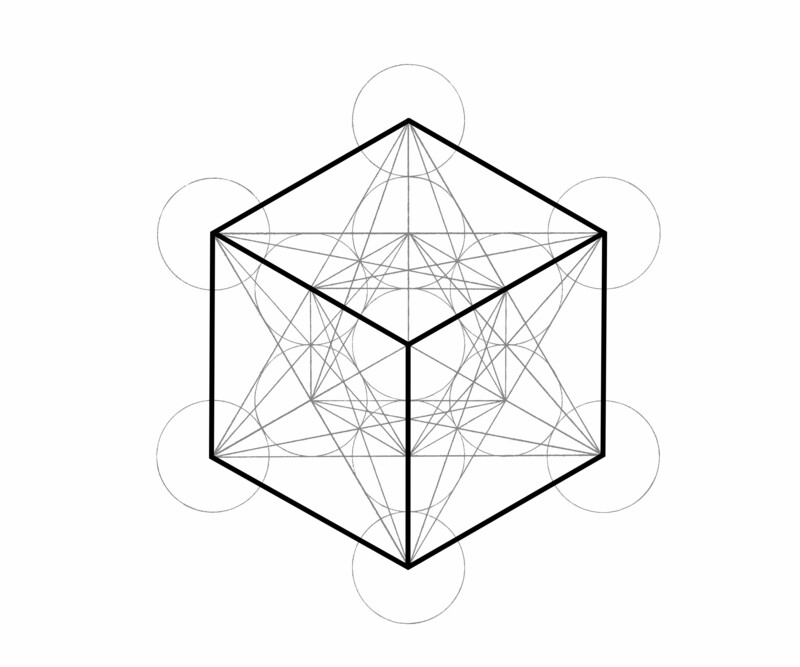 Horizontal or vertical only matters for the final render – it must be vertical to find Metatron’s cube’s final vertices. Get it? 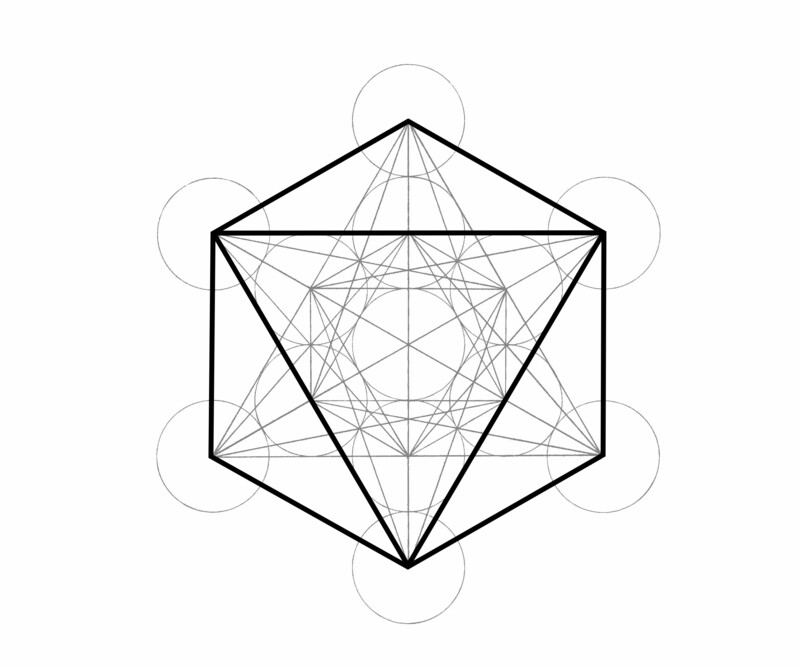 Vertical vertices. That’s known as the dynamic polarity. The rest is shown here. These are the keys to the kingdom, so to speak. Enjoy. Namaste. Awesome site and service that you provide! 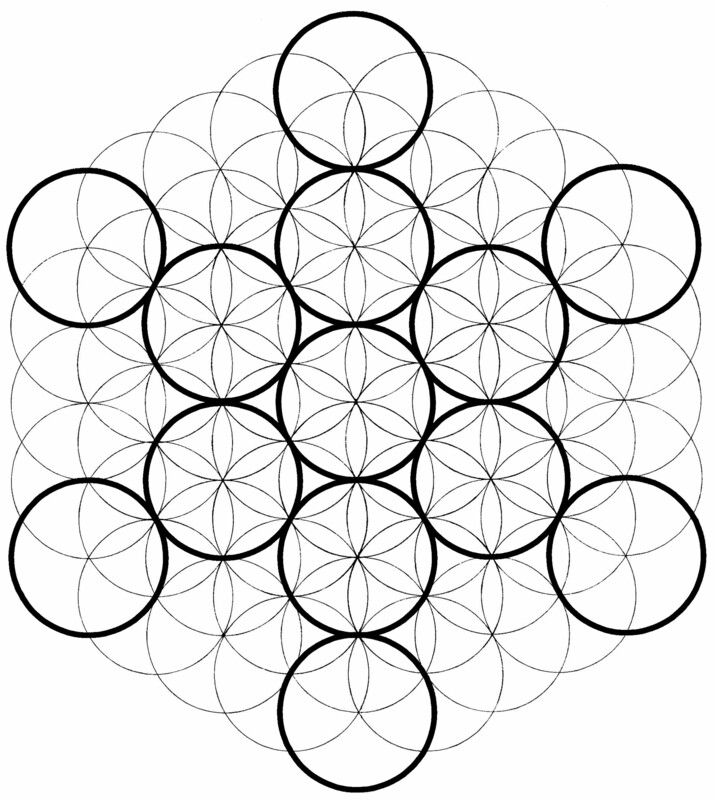 I love the flower of life. 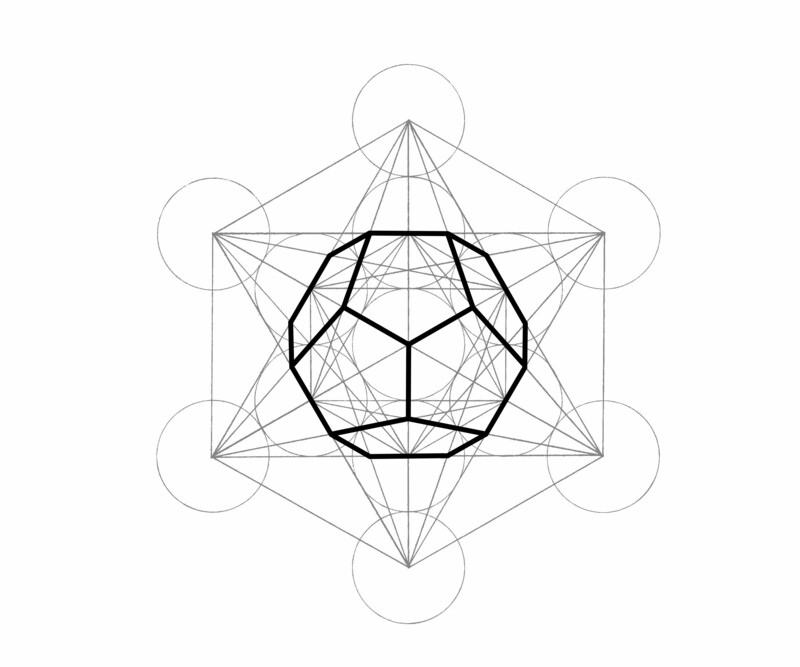 So much that I made a 3-Dimensional version…This is the link to phase one @ http://www.etsy.com/listing/160237629/flower-of-life-meta-cube-model? What is the little dot that’s tracing around on the page?! I am not crazy..
Metatrona Cube został zaprojektowany wieki temu i jest zaskakująco prosty jak na taka ilośc linii. Thank you. 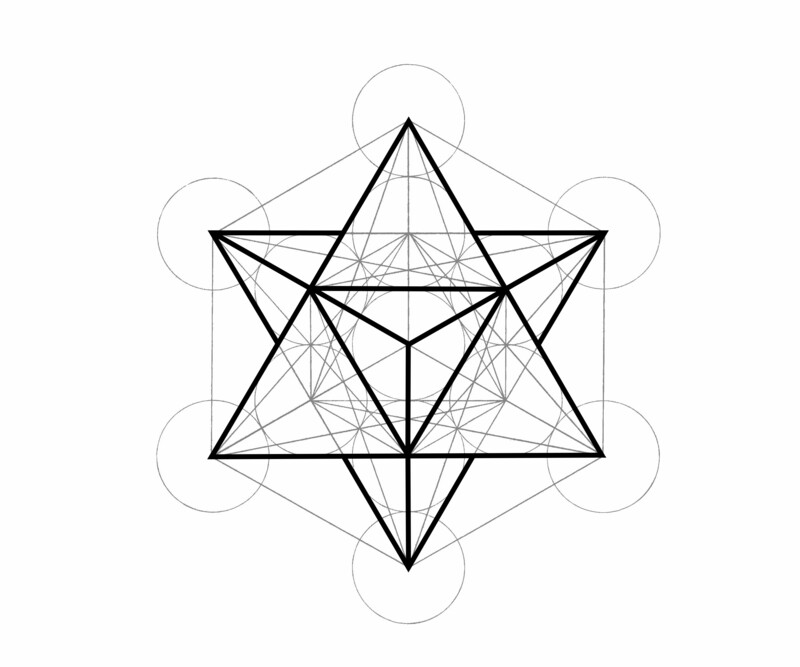 I’m obsessed with this and live reading about sacred geometry. I love this image and all it represents. I notice, every time I look at it stars of snowflakes falling across the image on a diagnal. I this done on purpose?